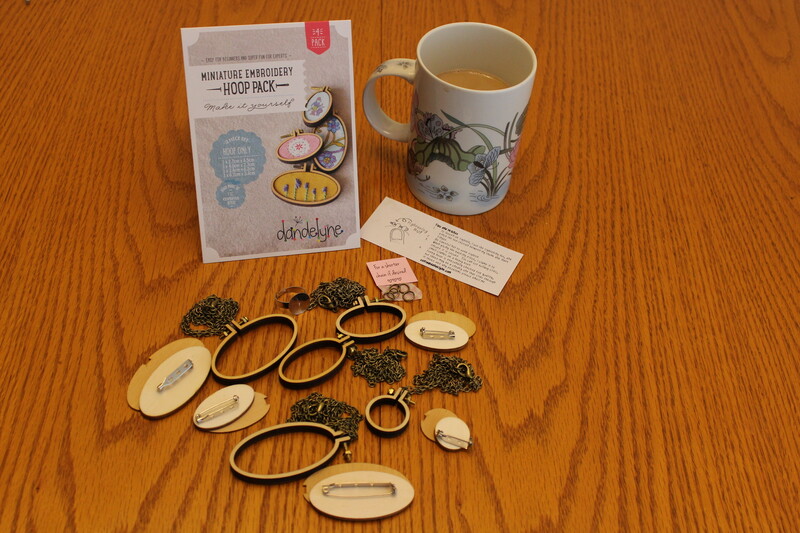 I was given the opportunity to craft test Dandelyne's miniature embroidery hoop packs. 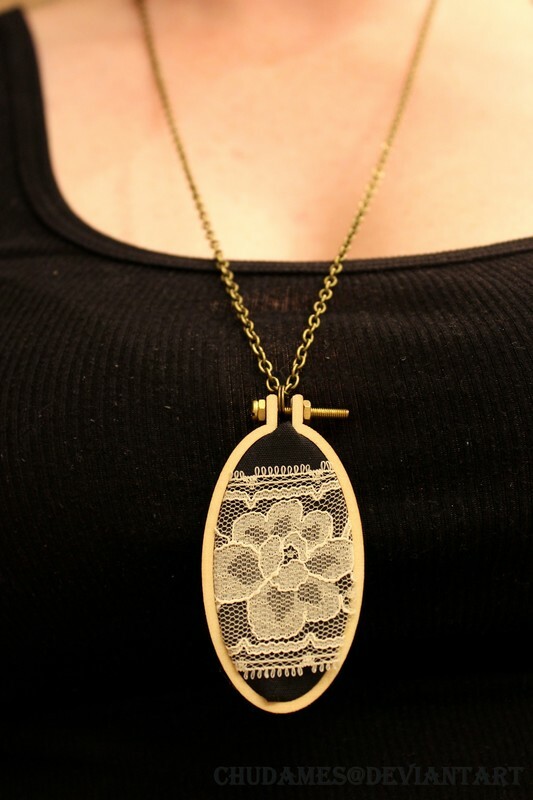 After doing one in embroidery, I thought I'd take a shot at a simple statement piece to show the diversity of these tiny embroidery hoops. You don't need to have any embroidery experience to make something beautiful with these kits! If you can use scissors and glue, I've got a project for you! - One of the Largest Vertical Oval hoops. - Lace (ribbon, trim, whichever you prefer). - Heat N Bond & Iron (you could use hot glue, but it might look messy). Set your Heat N Bond strip onto your fabric, then attach with iron as directed. Next, peel off the backing of your attached Heat N Bond, and place your lace over the strip. 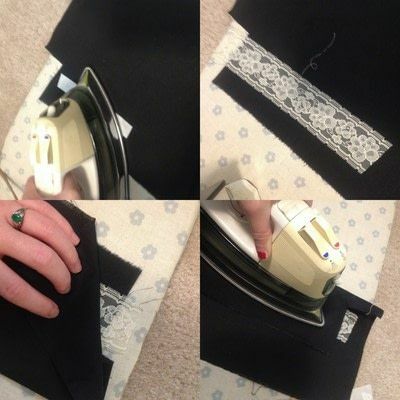 Fold over one side of the fabric to protect the lace, and iron. Gently flip the entire thing over, and iron the other side, to make sure both sides get enough heat to bond. 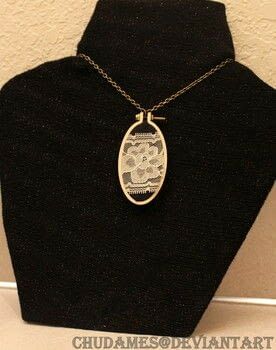 Once your lace is attached, place your hoop over your lace and map out what part of the design you'd most like for your pendant, and cut it out. 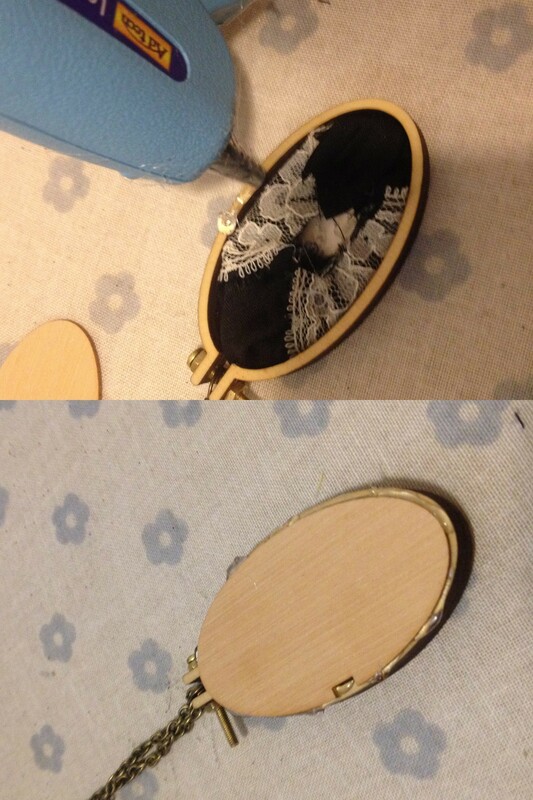 Gently loosen the fastener at the top of the hoop, and gently press in the wooden backing. Make sure you like how it looks, and then tighten the hoop. 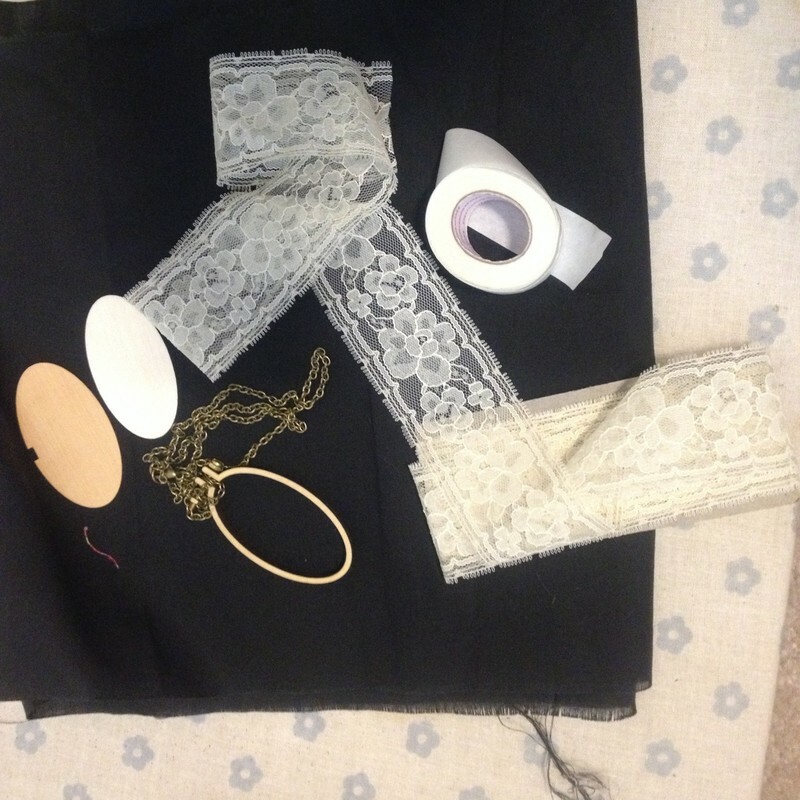 Secure your fabric into the hoop by gently hot-gluing the fabric in place at the back of your hoop. 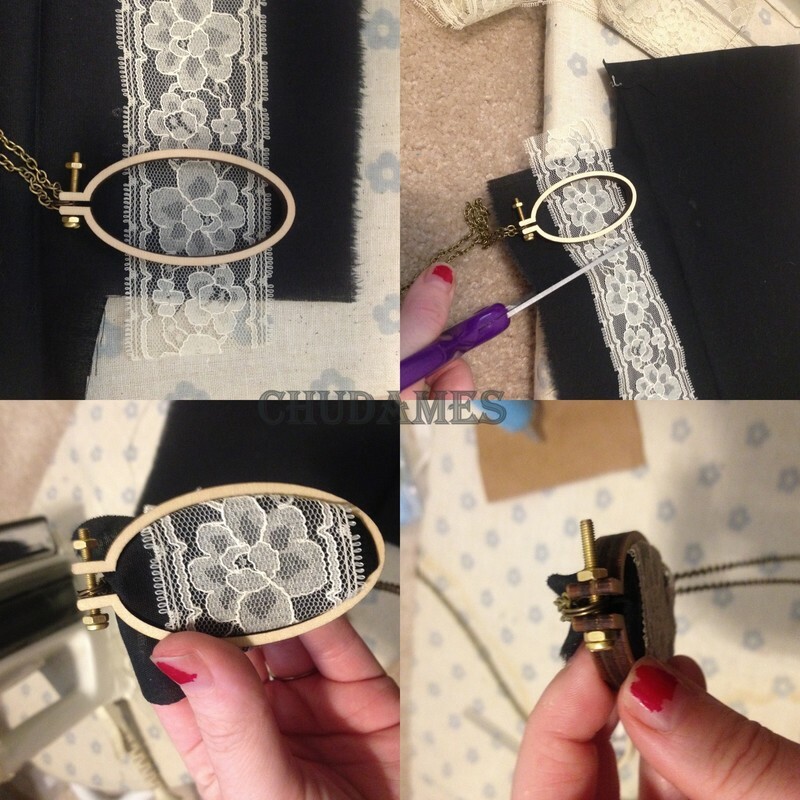 Once it is secure, glue around the edge of your hoop, and attach the outside backing. Trim off any excess glue once it has cooled. Wear that no-hassle piece of art! Check out Dandelyne for supplies and more ideas!